PETKUS was the world’s first manufacturer of mechanical seed sorting equipment. 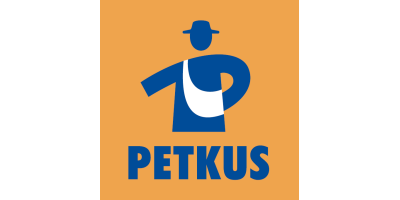 PETKUS today has grown to be one of the market leading suppliers of a comprehensive range of seed and grain handling and processing technologies as well as feed plants. PETKUS has always been an idea factory and the inventor gene has been passed on from generation to generation throughout the company’s history. From the first worldwide cleaning machine through to the Multi Coater that simultaneously treats and dries; – Innovation has become the PETKUS-DNA. Experience and knowledge combined with the courage to challenge old ways and breathe life into new ones is what sets PETKUS apart. Together with our customers and suppliers we create specific solutions while using your ideas and inputs as a catalyst for our continuous advancement. IMAGINE ….. if you could analyze every individual grain or kernel in real time ….. and individually dry, clean, sort and coat ….. IMAGINE ……. processing seed grain and feed gently, precisely, and efficiently – grain by grain. Precision Processing follows Precision Farming and PETKUS delivers not only the best ideas but also the best solutions. Our world leading technologies and innovations turn your harvest into Strong Seed. Healthy Grain. Behind it all – PETKUS! University partnerships secure a broad and growing knowledge base. Knowledge is harvested from our global networks and channeled through the PETKUS Academy to our employees and customers. Past, present and future, our ideas are the foundation of Strong Seed. Healthy Grain. The long-standing tradition of the company and the long-term dedication of the two family entrepreneurs are indicative of the fundamental commitment to and responsibility for the development of the company, its employees and its culture. PETKUS is a group of Technology, Innovation, Engineering and Service companies that mirrors its core competencies. This group ensures that individual, customer-specific and complete solutions are developed: from investment planning and technological concepts through to delivery, commissioning and training for turnkey plants. T-I-E-S stands for our Technology-Innovation-Engineering-Service strategy and defines the values base for our customer relationships. The term 'T-I-E-S' equally stands for 'Connection' and 'Relationship' as well as 'Obligation' and 'Responsibility'. These values are our commitment to customers and are deeply ingrained in the mindset of our employees.